Ok, so my man still likes his antipasto. Then again, so do I. 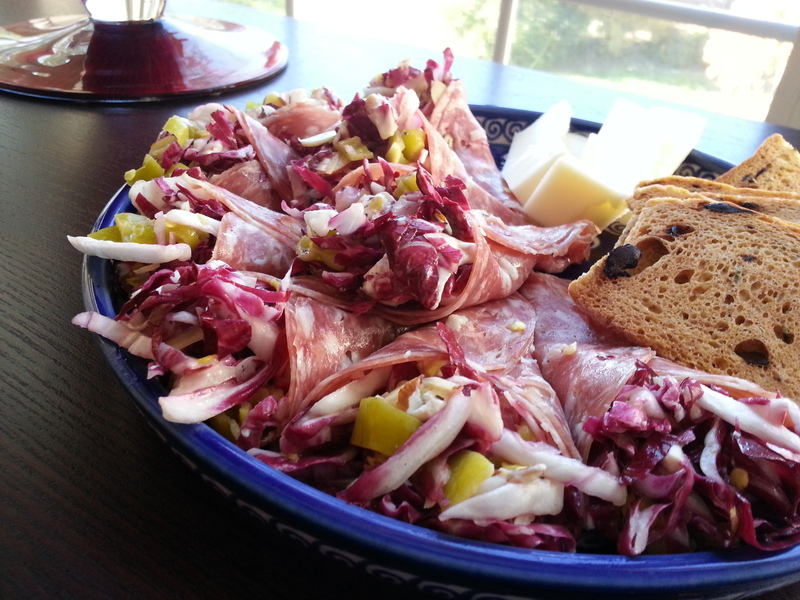 When my husband and I were dating, he was responsible for food on game day (insert sport), and so in turn, we had a loaf of italian bread from the oven, a brick of provolone, some sliced meats I had never heard of (it took time to pronounce prosciutto), beer, and a squeeze bottle of hot deli mustard (ok, so and I had another bottle, but that was something different…to drink…) To be honest, nothing much has changed – except I mainly run the kitchen now. I have tried over the years to lighten up the feast (except for the Dallas games, which I turn a blind eye to and make whatever he wants), but for other entertaining, I seemed to have found the middle ground for meat eaters and those who would rather try not to devour 2500 calories in 3 hours. This recipe is one of those that bridge the gap. I love the fact that I found this recipe in the sidebar of a magazine. 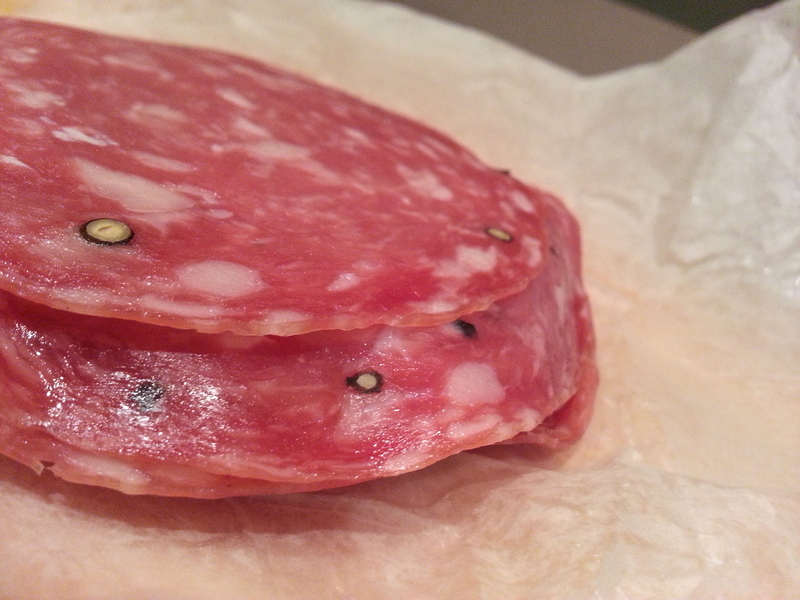 I guess it caught my eye because of its simplicity, in addition to the fact that there was soppressata rolled….that made me interested. If you know me, I like finger food, and not just a bowl of chips and salsa (which I can devour!). I enjoy putting something out, even if it is just for my husband and me, because that is what cooking is about….having fun…taking pride…and having it taste delicious. 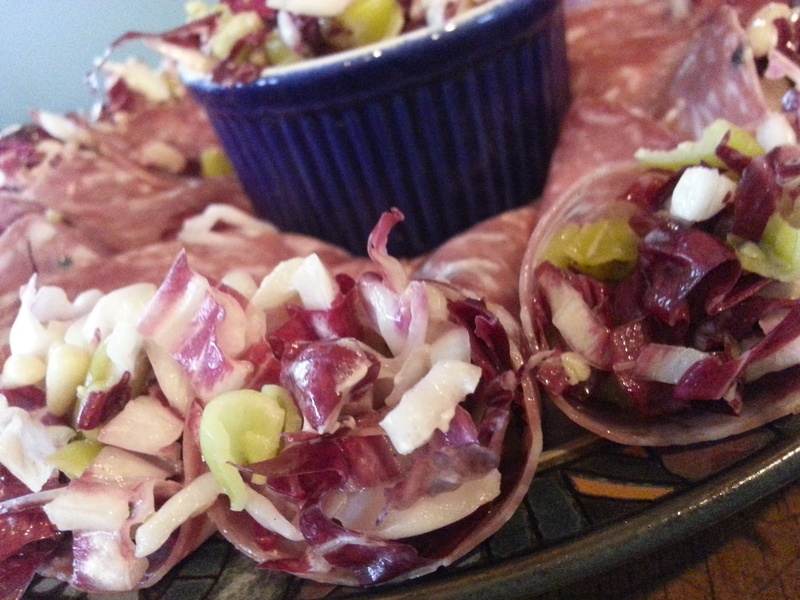 So on certain occasions, there is still a pile of meat put out as an appetizer, but at least it is rolled around radicchio! 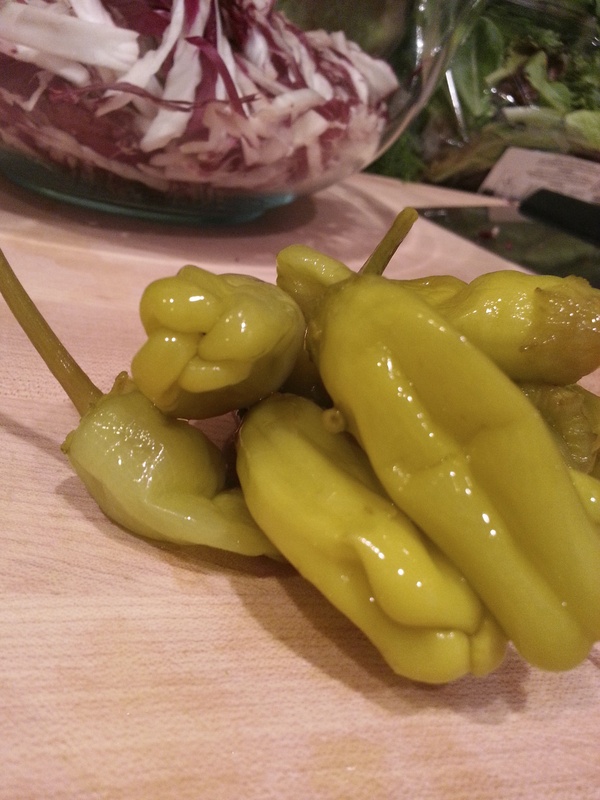 In a bowl, combine the shredded raddicchio, pepperoncini, goat cheese, vinegar and olive oil. In a small cast iron skillet, toast the pine nuts for a few minutes, shaking occasionally so as not to burn. 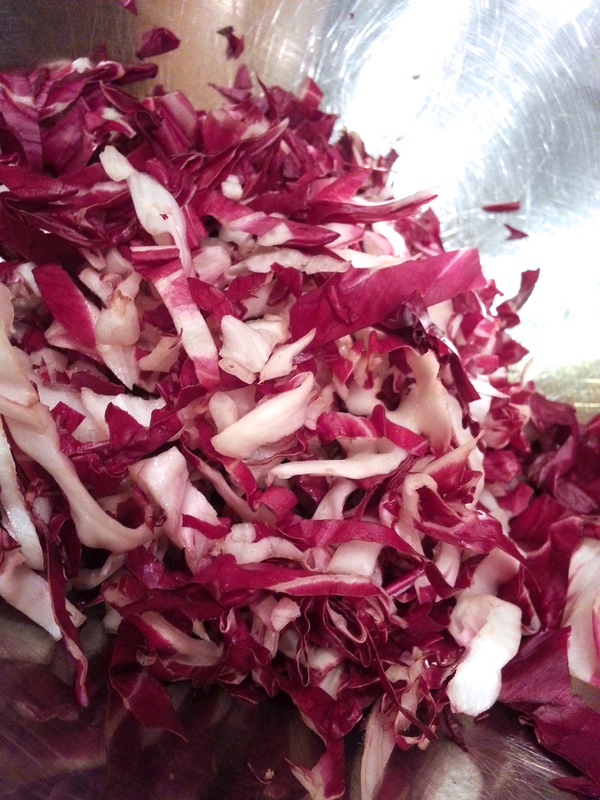 Add to bowl and combine with radicchio mixture. Add salt and pepper to taste. 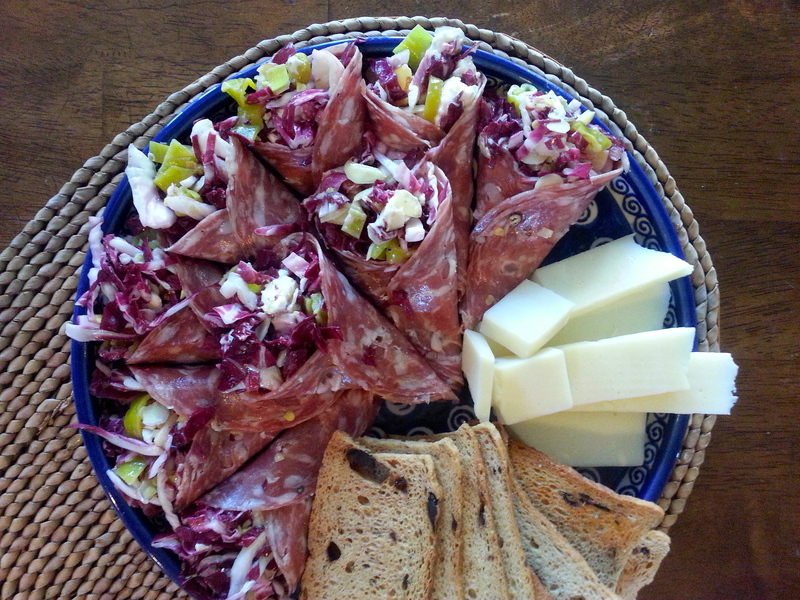 Arrange the slices of soppressata on a work surface and mound about a tablespoon or so of the radicchio mixture on each piece. 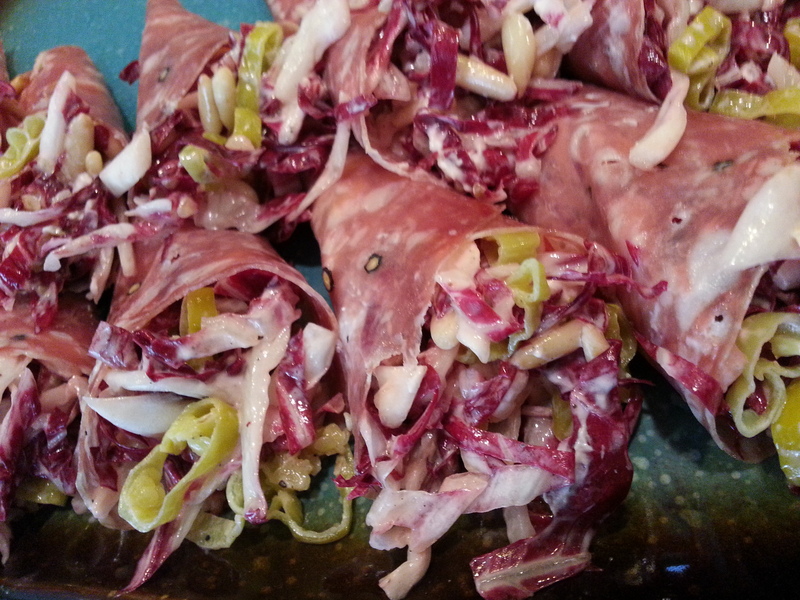 Roll up the soppressata around the salad to form a cone. 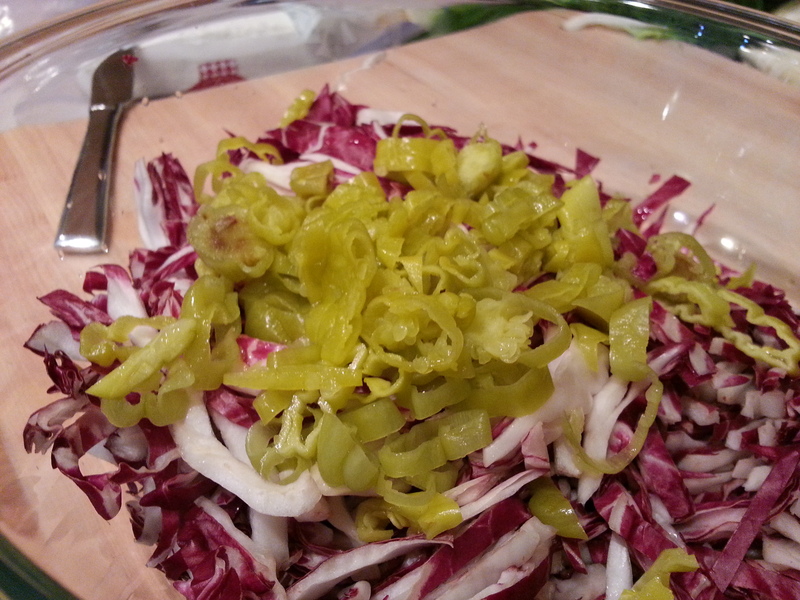 note: to make this meatless, I served a portion of the radicchio salad in a bowl and served with crostini. Just check that the salad is dressed enough to adhere to the crostini. Also, I made this once with sliced almonds – untoasted, because I didn’t have pine nuts. This entry was posted in appetizers, snack and tagged appetizer, finger food, goat cheese, raddicchio, rolls, soppressata. Bookmark the permalink.